Educause has named John O'Brien as its next president and CEO, beginning June 1. O'Brien succeeds Diana Oblinger, who is retiring in May after leading the higher education technology association for 10 years (first as a vice president, then as president). "I am honored to join Educause as president and CEO," said O'Brien in a press release. "Higher education is at a crucial inflection point, and technology will make a significant difference in the years ahead. By convening and advancing the work of its members, the association is uniquely positioned to help the higher education community more fully realize the strategic importance of IT on campus and beyond." O'Brien is currently senior vice chancellor for academic and student affairs for Minnesota State Colleges and Universities (MnSCU). He previously served as president of North Hennepin Community College (MN), chief academic officer and acting president of Century College (MN), and associate vice chancellor of instructional technology at MnSCU, as well as in faculty roles at Normandale Community College (MN), Augsburg College (MN), the University of Minnesota, the University of St. Thomas (MN), and Augustana College (IL). O'Brien was also director of the Minnesota "Students First" initiative, a statewide technology project aimed at improving student e-services. "My colleagues on the Board and the members of the search committee are confident John O'Brien has the right mix of experience, vision and leadership to advance the mission of the association and extend its reach, building on the strong accomplishments Diana and the Educause staff have achieved together during her tenure," said Bruce Maas, chair of the Educause Board of Directors and vice provost for IT and CIO at the University of Wisconsin-Madison. 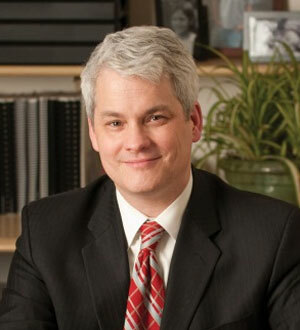 Oblinger's accomplishments include the creation the Educause Learning Initiative, a group focused on innovation in teaching and learning with technology, and Next Generation Learning Challenges, which provides "grants and change strategies for transformational technology-mediated programs in post-secondary and secondary institutions." "My time at Educause has been an exciting and deeply rewarding experience. Every day our members use technology to make the world better in ways we could only dream about," said Oblinger. "We look forward to John moving the association and our community forward."